In this weekly post I curate the best of the content I found and reviewed for online entrepreneurs. I just launched the StrongStart.fm podcast! I am delivering a weekly episode and focusing my content on helping you design, automate, and outsource the technology of your online business. 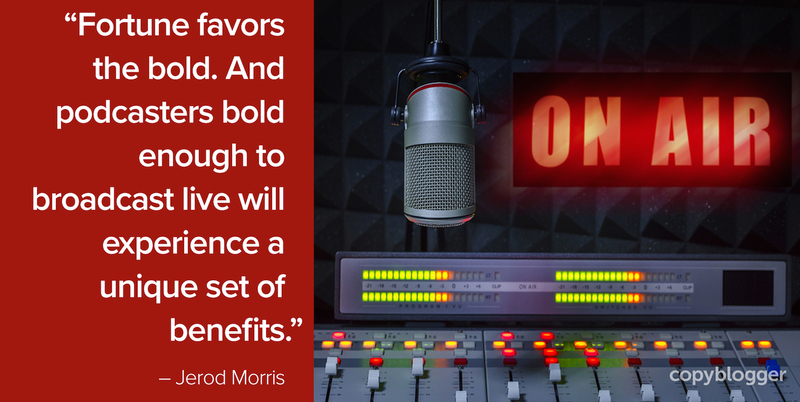 Current episodes focus on building a WordPress platform for your business, live streaming, home studios, and much more. Head over to https://strongstart.fm/podcast for details. The articles in this category are about self-improvement and learning. This article discusses how to create personas for your content marketing efforts. Some folks call these avatars but I would make a small distinction. Avatars are meant to humanize your ideal customer. Many give them names and think about them as if they are a real person when creating content. Personas are similar but I think of them more as a set of data and information you build around your avatar. The more detailed these get, the more valuable they are when you are writing copy or thinking about running Facebook or other ads. Having a rich persona with interests, publications, events, and anything else that type of person enjoys is a great asset to build over time. Great article on metrics for content marketing. The article details seven categories of metrics like leads, sales, engagement, and others. Examples of metrics within those categories and how to measure them are included. While there are a number of tools that can do this for you, it may also be easier and less expensive to use a basic spreadsheet and document some of these numbers weekly. The articles in this category cover your personal and business brand, your online presence. This question gets asked so many times in all the groups and forums I'm a part of. This article is one of the better ones I've seen on this topic because it keeps it simple. I'll make it even simpler still: Use Drip or ConverKit (affiliate links). Skip the lower level ones because you will need a mid-level option relatively quickly and the higher end (ActiveCampaign, Infusionsoft, etc.) are overly complicated. I used ConvertKit for a while and it is good and the easiest to learn but I later switched to Drip for some more advanced automation features. 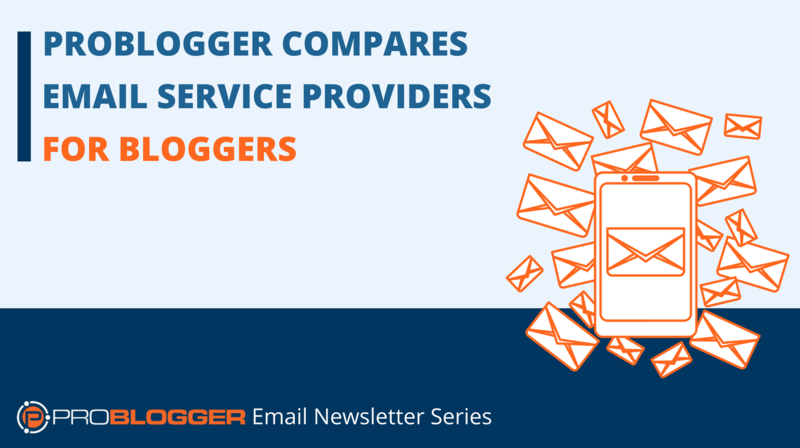 This is a big list of interesting blogs and websites that create great content. If content curation is part of your strategy like it is mine, these are a great place to start. This article caused me to re-think my content strategy in a big way. I am going to try recording and broadcasting my podcast live, basically turning it into a Facebook Live show where the edited audio will then become my podcast episode. The key for me is whether the edited audio output will sound like a great podcast, meaning I don't want to short change podcast listeners. I hate the podcasts out there now that do this strategy but leave in the audio things like “As you see on the screen here” or “look at that outside the window”. Obvious visual references the podcast audience won't see. The trick is making the live recording of mostly audio interesting without sacrificing the final output. The articles in this category cover online business topics such structure, legal, accounting, and so on. 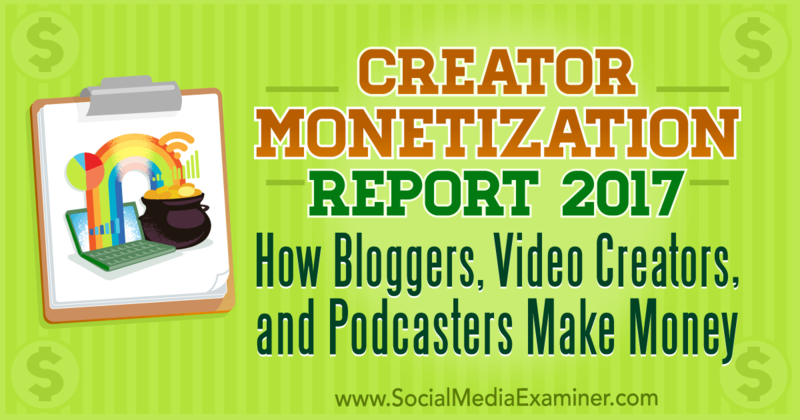 Here it is: if you want to know how online entrepreneurs like bloggers, podcasters, and video creators make money, this research shows it all. What you will see is that there are a multitude of ways to make money once you have built up an audience and that prudence calls for having multiple income streams as soon as you can. If you only have one income source then you are subject to the major risk of an algorithm change, change in affiliate commission, hack or any number of risks that could take out your only income source. 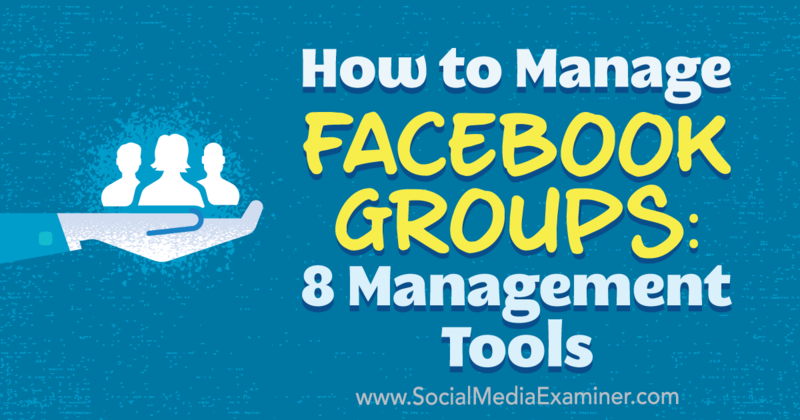 When I read the headline I thought this was going to be about some kind of third party tools for managing Facebook Groups but instead it covers all the tools built into Facebook to help. In the last few months Facebook has added many new capabilities to Groups to ease the burden on group administrators. That's it for this week! Let me know in comments if you found any other interesting content this week!